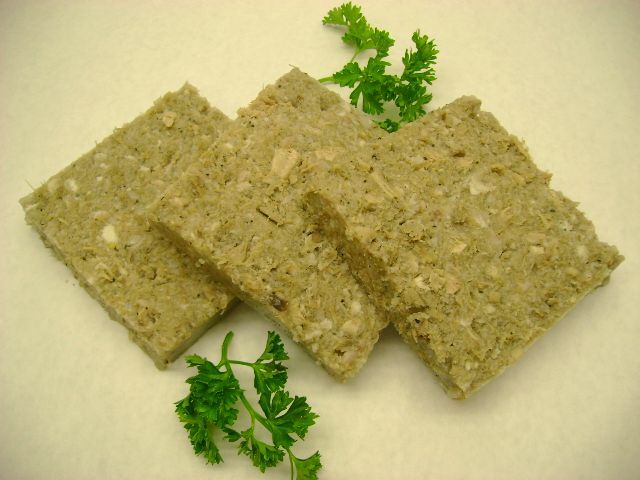 Sulzen – also known as Souse and very much like Head Cheese. Made with pork, pork skins, and pork hearts with spiced vinegar added for a pickled flavor. Packages average about 1/2 lb. $5.29/lb. 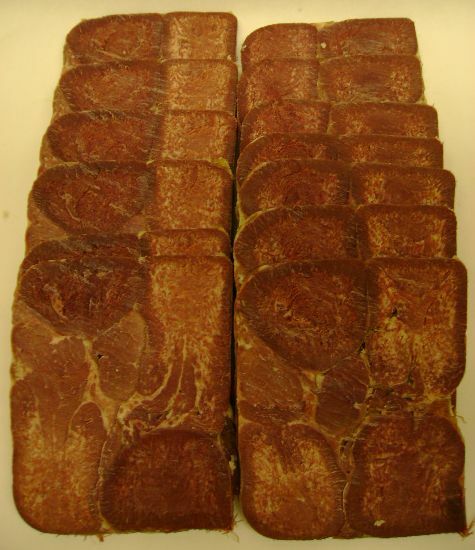 Smoked Tongue Loaf – barrel cured, smoked, and cooked beef tongues pressed into a loaf and then sliced for sandwiches or snacking. Full of delicious rich flavor. Packages average about 1/2 lb. $13.99/lb. Pickled Tripe – beef tripe in spiced vinegar. $5.39/lb. Pickled Heart and Tongue – beef heart and tongue in spiced vinegar. $5.79/lb. 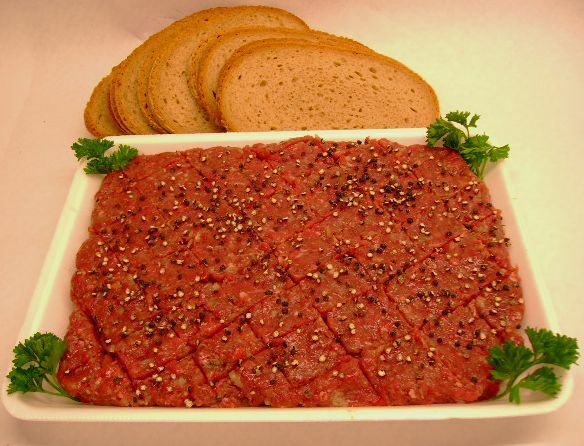 Tiger Meat (beef) – very lean ground round with onion and seasonings eaten raw on crackers or cocktail rye. A holiday tradition and tailgating favorite. Why the name? Maybe because you are the tiger! Available in 1 pint or 1/2 pint containers.$6.79/lb.